Every year we manage to cross paths with some special screening of our favorite film, the Spielberg Masterpiece “Jaws”. I’ve managed to see this movie on the big screen dozens of times and I never tire of it. Last night was another example of finding a special way to celebrate the film. 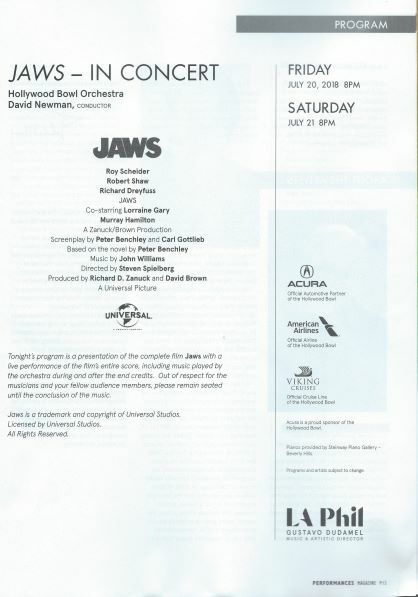 This was “Jaws in Concert”, but not only are we getting a live orchestral accompaniment, we are getting it in the most beautiful setting imaginable, The Hollywood Bowl on a summer night. 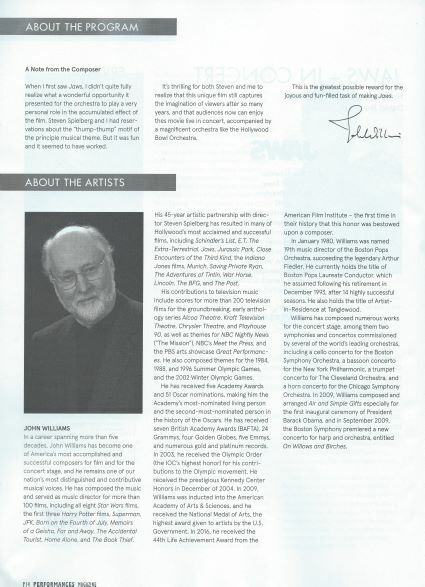 Since this is primarily a concert, it seems right to focus on this “Jaws” related post, on the music of John Williams as used in the film. The shark them is famously simple and even more famously iconic. In two notes, people know the film reference and they are looking around for a fin. Surprisingly, the theme is used almost as sparingly as the shots of the mechanical shark. After the initial attack on Chrissie during her moonlight swim, we hear it once more when Alex Kintner is attacked, and then moodily substituting as the two inept fisherman go trolling with the holiday roast. 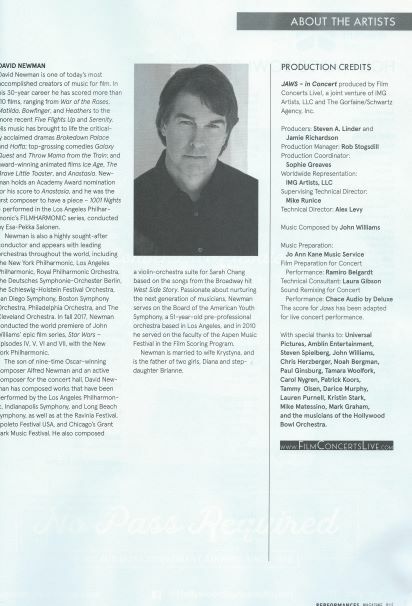 The Hollywood Bowl Orchestra had some long on stage breaks because the first half of the film is filled with ambient noise, things like ; kids playing on a beach, radios on baseball or top forty stations, or motorboats speeding across the ocean, trying to cutoff another motorboat chumming for the shark. There are other themes in the film of course, but they are often forgotten when people think of this movie. As The Orca sails off to her destiny there is a slightly ominous movement. When she is chasing down the shark, there is a joyful exuberance in the music as we follow the vessel and the three excited men who think they are getting the upper-hand. As Quint is laying out the tragedy of the USS Indianapolis, at first there is silence and mere ambient ocean background. As the story builds, the music is layered in very subtlety and the story is darker as a result. You are probably aware that the film is two hours long and never had an intermission. A concert experience is different however. the crowd needs a chance to stand up after picnicking and listening to the first hour plus of the movie and the orchestra needs to break as well. The start of the final act where we pick up after the break, involves Chief Brody chumming off the back of the boat. The first up-close sighting of the shark comes a few minutes later and Williams has a great jump scare chord ready for us. The two big jumps scares in the film continue to work to this day, even when people know they are coming. I still saw 12,000 people bounce out of their seats when poor Ben Gardner makes his final appearance, and Brody utters the one swear word in the movie and before we can laugh, the collective breath of 12,000 people could be heard being sucked in. The whole evening was a spectacle at times. 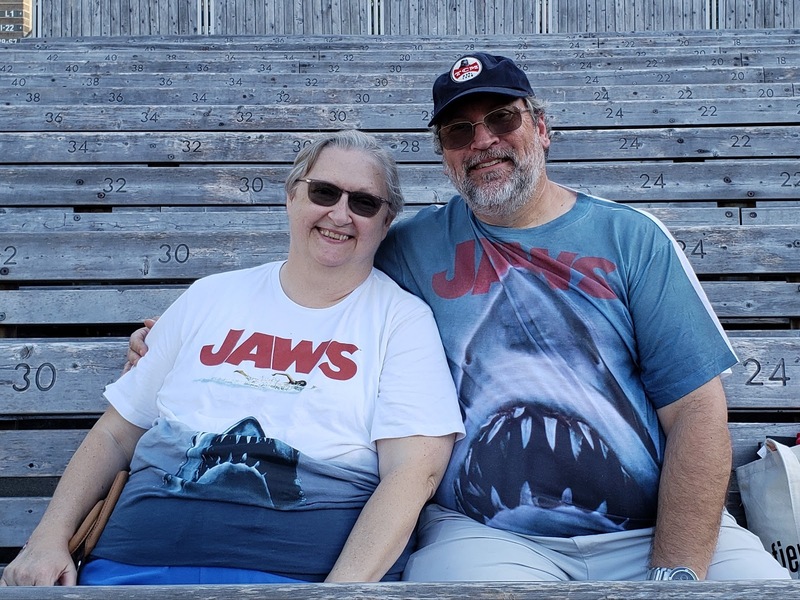 Early on, Jaws related clothing was rare, but as the amphitheater filled in, more and more indicators of fandom could be observed. This is why you let Polly do the printing. This event ran two nights, which means about 30,000 people came out to see a 43 year old film and paid top dollar to hear the fantastic music played by a live orchestra. 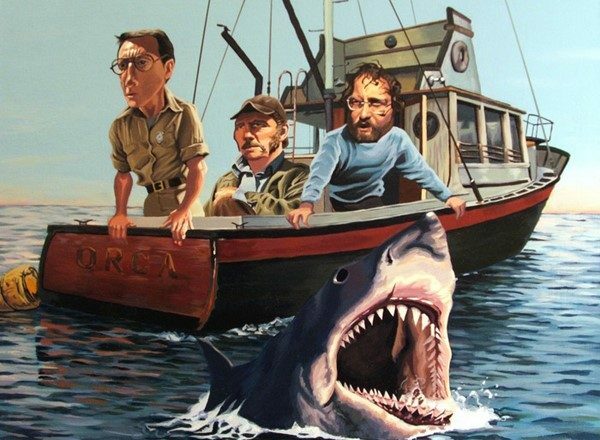 That is all the proof you will need to show that “Jaws” is a true classic. I hope all of you get an opportunity to see a movie you love, in a setting like this, with the special extra that we got. Until then, you can remain a little jealous. A little extra flourish to send you on your way.